DJ and record producer Kascade said, "A lot of people see electronic music as a flavor of the week, but it can be more than that — has to be more than that." The American musician may have been more correct than he realized when he first uttered these words. 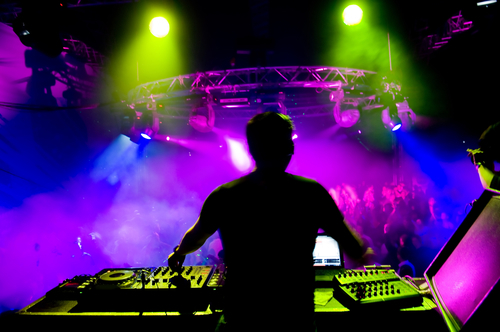 Electronic Dance Music (EDM) has become much more than a music flavor in the past ten years, and it has evolved into a kind of modern lifestyle. So what has given this flavor of the week staying power? Quite possibly, it's the fans. As part of one of the fastest growing sub-sects in music fandom, EDM fans encircle their lives around the music, social media and live events of EDM. So, what's the big deal with EDM? That's a difficult question to answer since there are so many sub-genres that fall under the EDM umbrella: techno, house, trance, garage, drum and bass, dubstep, trap, grime, juke, moombahton, hardstyle, downtempo and breakbeat. And each of these sub-genres have sub-styles, unique artists and specific target audiences. Different genre fans sport different trendy attire, from the PLUR (peace, love, unity, respect) girls in their short skirts and florescent bikini tops to the Skrillex fans draped in black and wearing charcoal eyeliner. It's complicated to distinguish one sub to the next, and the fans of each genre like to keep it that way. The bloodstream of the EDM movement and crux of the rapid development of the EDM community is social media. EDM fans, Kandi Kids and ravers can't get enough of their social platforms, mainly using posts to communicate with each other about when and where shows will take place and as a means of chronicling their adventures. According to a 2014 Eventbrite study, EDM fans on Twitter tweeted almost six times more than a standard Twitter account user. These findings are not surprising considering that many in the EDM community likely prefer cellphones with advanced mobile device features, like easy social media apps and the slo-mo video recording capabilities that shoot at a mind-blowing 240 fps on the iPhone 6 Plus. These features enhance the EDM fans' ability to share and communicate. The Evenbrite study also determined that compared to fans of other music genres, EDM fans' tweet content discussed concerts 30 percent more than any other genre's fans, suggesting that sharing the experience of an EDM live show is an imperative for these concert-goers. Plus, more than 39 percent of EDM Twitter and Facebook conversations highlight the love for EDM as the main focus of the post. To its fans, EDM is not just something you listen to, it is something you experience live. With such a positive vibe created through the music and the followers of this movement, it is no wonder EDM has grown its fan base and taken the music world by storm. As the prophetic Kascade hypothesized, EDM is not a flavor of the week. It's not a flash in the pan of music history. For the Kandi Kids and PLUR girls, the ravers and more, EDM has become a way of life.